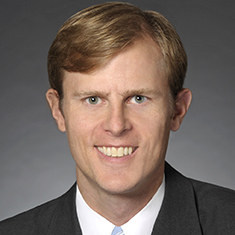 Andrew N. Hamm is a partner in the Real Estate practice, concentrating on commercial transactions. He represents owners, developers, institutional lenders, real estate investment trusts (REITs), private equity firms, equity capital providers, sponsors and other clients across a broad range of real estate asset classes, including office, multifamily, industrial, retail, mixed-use, hotel and student housing. He advises clients in financings, joint venture formation, ground leases, acquisitions, dispositions and development matters, regularly representing real estate developers in the preparation and negotiation of construction, design and development agreements for projects across the country. Andrew also provides pro bono representation to community and non-profit organizations. He served as a judicial extern to the Honorable Joan B. Gottschall, US District Court, Northern District of Illinois. While in law school, Andrew served as notes and comments editor for the Chicago-Kent Law Review. Representation of a real estate investment trust in connection with the sale of improvements and ground lease of land pertaining to a 40-story office tower in Detroit. Representation of a real estate investment trust in connection with the sale, leaseback, financing, development, subleasing and operation of an oceanfront amphitheater, park and landmark restaurant in New York. Representation of a real estate investment trust in the formation of a joint venture in connection with the acquisition and development of a multi-phased 1900-unit continuing care retirement community spread over 100 acres in Salt Lake City. Representation of a real estate investment trust in connection with a multi-project redevelopment of an oceanfront neighborhood, including design and construction of a boutique hotel in a repurposed building, a live entertainment venue and a landmark mixed-use hotel, and a condominium and retail building in Asbury Park, New Jersey. Representation of a real estate investment trust in connection with making a series of construction loans to borrowers developing single-family rental home neighborhoods in the southwestern United States. Representation of a private equity firm in a series of sales of newly constructed luxury apartment buildings throughout the United States, including Chicago, Los Angeles and Boston. Representation of a real estate investment trust in connection with a mortgage and mezzanine loan refinance of a recently completed multi-use tower in Chicago. Representation of a closely held developer in connection with the acquisition and development of a series of low-rise luxury apartment buildings in Chicago. Representation of a private equity firm in the negotiation of a tenant improvement work letter for a ground lease in connection with a complex multi-use development in Boston. Representation of a privately held real estate firm in the sale of a boutique office building in Chicago. Representation of an institutional lender in a construction loan for the ground-up construction of a dual-branded hotel in Denver. Representation of an institutional lender in a construction loan for the ground-up construction of a 159-room boutique hotel in Chicago. Representation of a private equity firm in connection with the ground-up construction of a student housing facility in the Midwest. Representation of an institutional lender in connection with the refinancing of a large office building in Chicago. Representation of a life insurance company in connection with a loan secured by a portfolio of parking garages in the Midwest. Representation of a privately held real estate firm in the acquisition and ultimate disposition of an office tower supporting a hotel built on an air-rights ground lease in Chicago. Representation of a privately held food-related technology company in the acquisition and development of a new headquarters office and laboratory facility in suburban Chicago.